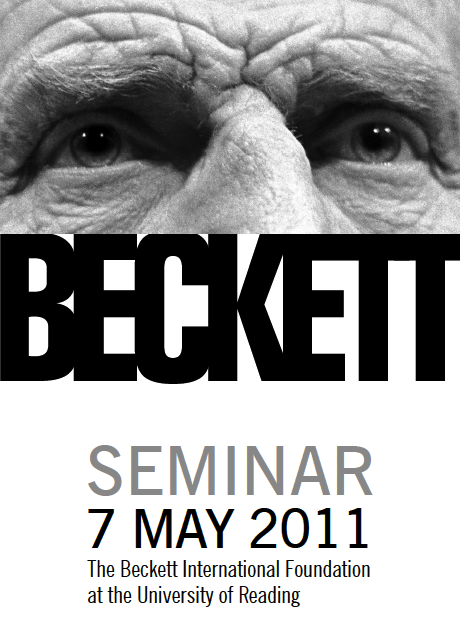 The Beckett International Foundation is pleased to announce that the next Beckett Research Seminar will take place on Saturday, 7 May 2011. The event will be held in the Conference Room of Special Collections at the University of Reading. As in previous years, our speakers represent a mixture of both local and international research students as well as established scholars, reflecting the current research into Beckett's writing. It is our hope that the quality of the papers will, as in the past, attract a wide and varied audience. The charge for the day is £20 per participant (£15 unwaged), which includes lunch and refreshments throughout the day. Please note that parking facilities are available at the venue.